To close the pensions savings gap we need to raise awareness of the importance of saving as young as possible for both genders, but particularly for women. Women are far less likely to save for their retirement than men, according to new research carried out by Aviva. The research shows that men are much more aware of pensions and the benefits of saving. This is partly a legacy issue arising from the marriage bar which, until it was abolished in 1973, forced many women to leave the workforce when they got married. But women also tend to take more career breaks either to have babies or to care for young children or elderly parents. On the other hand, women live longer and without income from pensions to supplement welfare payments, they are more vulnerable to poverty in their retirement, says Aimee Scriven, retirement solutions proposition manager at Aviva. “Women’s attitudes towards pensions need to change. We want young women going into the workforce to have a really clear view of what they need to set aside throughout their working lives to enjoy a decent standard of living in their retirement,” she says. The research, which was carried out by Ipsos Mori as part of Aviva Ireland’s Consumer Attitudes Survey, found that almost half of women, as against just 27 per cent of men, say they don’t understand pensions and investments*. A quarter of women admit they haven’t considered how much they would need for a comfortable retirement and yet they worry about not having enough. “In comparison to 25 per cent of men, almost 40 per cent of women are worried they won’t have enough money to provide an adequate standard of living in retirement. But despite their worry, only 8 per cent of women are taking steps to do something about this as against 25 per cent of men*,” she says. Aviva published its ‘Mind the Gap’ Pensions’ Report last year which found that Ireland’s annual pension savings gap (that’s the amount of money people are currently saving for their pension versus the income most likely needed to provide an adequate standard of living in retirement), increased from €20.2 billion in 2010 to €27.8 billion in 2016. This means that Ireland has the joint-second largest pension savings gap in Europe**. Raising awareness among women about the need to prepare for retirement is a must in order to encourage people to close that gap, says Scriven. “The pension gender gap is caused by a number of factors: women are more likely to take career breaks, for things like maternity leave. Another factor is that almost 70 per cent of part-time workers in Ireland are women. That has a huge impact on their contributions to any kind of occupational scheme and also, on their entitlement to the contributory State pension as well,” she says. She says some women still hold an old-fashioned notion that they can rely solely on their husband for financial security. “A lot of women in their fifties are in that space and are possibly thinking there is no point in doing anything about it now, that it’s not going to make any difference, starting to save towards a pension. We would say absolutely not, saving for five years is better than saving nothing. Scriven says younger women do think differently when it comes to pensions but more needs to be done to inform the next generation. She says children need should be taught in secondary school about the importance of forward planning and saving for their future. “We need to start the education process around pensions at a much younger age for both genders, but particularly for females. The world has changed and women are much more self-sufficient and independent. Things like how long they take out of the workforce for maternity, that’s never going to change, so it’s the things they can do to help themselves and to be mindful of that when they’re thinking about what retirement is going to look like for them. 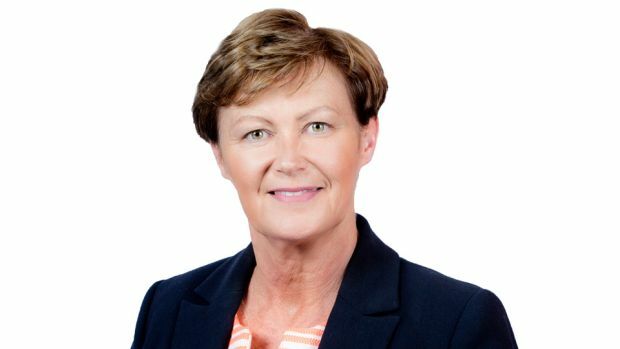 Ann O’Keeffe, Aviva’s head of Individual Life and Pensions welcomes the recent announcement by the Taoiseach, Leo Varadkar, that a system of auto-enrolment in a pension scheme for all private sector workers will be in place by 2021. “As we pointed out in our Mind the Gap Report, such a move will raise the level of coverage across the population. But the devil will be in the detail: we look forward to further information when the Government publishes its five-year Pension reform roadmap before the end of the year. It is important that the level of contributions to the proposed universal scheme should be adequate to fund retirement for private sector workers, men and women alike. “Thankfully, we are all living longer, more active lives and our good fortune in this respect should not become a financial burden. That is why we need to ensure that women – as well as men – understand the benefit of financial planning as early as possible in their careers. It is the responsibility of all of us who work in the pensions’ industry to ensure that we play our part in educating women about pensions,” she says. After the Budget there was lots of focus given to the anomaly in the State pension system that left many workers – most of them women – with less money than they might otherwise have been entitled to. However a new report suggests that that is just one of the issues facing the pension system here, with its sustainability in particular being flagged as an area of concern. The Melbourne Mercer Global Pensions Index ranked Ireland 12th out of a survey of 30 countries, but the country got a D grade in terms of sustainability. One of the current problems with pensions is the fact that – at the moment – they are particularly unattractive to people due to low interest rates and the potential for low returns. As a result many will see the little gain they might make being gobbled up by fees – leaving them with little incentive to save further. Mr Burke said there is more companies can do to address this – which might make a pension more attractive to individuals. “There’s always something that can be done in terms of fees and obviously there’s competitive pressure in the market that will reduce fees further,” he said. “[In the future] we expect that our approach to retirement will become much more flexible. Instead of just ‘retire and stop’ people are likely to continue working as long as they can, perhaps slowing down, but not simply ‘stopping’ work,” says Klaus Mogensen, a futurist with the Copenhagen Institute for Futures Studies in Denmark. As more lifestyle opportunities become inexpensive or free, thanks to the internet, life choices in later life will change also. “If you are not focused overly on such material matters as a big house or car, you will be able to live a rich life fairly inexpensively, by perhaps not taking holidays to exotic destinations, but holidaying in your own country, and by availing of things like online education which will be free or inexpensive,” he says. That could have a knock-on effect on property. “You won’t need a big kitchen if you’re going to eat out all the time, you won’t need a big sitting room if you are going out to socialise with your friends and you won’t need a big TV if you can watch on your mobile devices,” he says. There are negatives too, primarily a growing polarisation between the rich and poor, he cautions, “Both the UN and the World Bank have flagged this polarisation as a growing problem. We might see some political measures to limit this polarisation. One possibility is the advent of a Universal Basic Income, an idea that is currently being considered in Finland and Switzerland. “If it does come, there will not be a retirement age because you will get the Universal Basic Income at every age,” he says. Denmark is currently considering the idea of providing access to the State pension early for people worn out by hard physical labour, while others, say professionals or creatives, whose work is less taxing, could hold off before applying for the State pension, and so get a higher rate at a later stage. 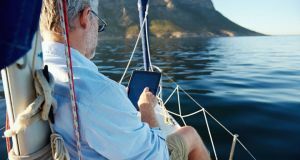 The whole notion of retirement is undergoing “massive transformation at the nexus of socio-economic change and technological disruption,” says Kyle Brown, a senior foresight strategist with Idea Couture, a strategic design and innovation firm in Toronto. “Automation, information communications technologies and artificial intelligence are challenging the industrial economic model and even our knowledge economy, with innovations in process efficiency and cognitive capacity that are ultimately resulting in labour market displacement,” he says. “At the same time, advances in life sciences are increasing human longevity. Most Western societies are also beginning to feel the consequences of the passing demographic bulge, with several states being forced to address an increasingly unfavourable age-dependency ratio,” he says. “As a result, new ways of working are emerging, which require us to rethink and re-imagine the linear approach to education, employment, and retirement. Rather, these three states are becoming more fluid and dynamic, characterised by increased precariousness and task-based, project-oriented work that is supported by just-in-time lifelong learning – as opposed to just-in-case learning,” he says. The idea of a second career represents an opportunity for passionate engagement after retirement that not only creates a sense of purpose for the elderly, but creates benefits for the wider community, he says. The attitudes and behaviours of elderly populations today and in the future will be different than generations past. “This new 50+ is healthier and more active than ever, meaning they will likely work longer and actively participate in society to a greater extent than before,” says Brown. 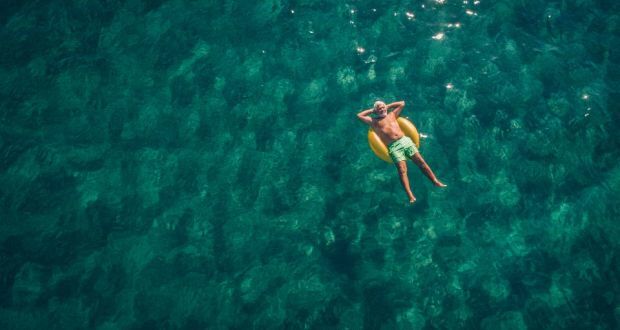 “Having grown up in a time of relative economic prosperity – from a Western-centric perspective – their expectations for retirement will be wildly different than in the past, especially given their financial privileges and disposable income. There is a new silver economy emerging that ranges from functional products and services to transformative experiences,” he says. Looks like the future isn’t golden but silver. Budget 2018 – How will it affect you? Standard rate income tax band increased by €750 for 2018, giving a tax saving in 2018 of €150 for higher rate taxpayers. Earned income tax credit for the self-employed and proprietary directors increased by €200 to €1,150 for 2018. The lower USC bands and tax rates will be reduced in 2018. The maximum saving for higher earners is €178 pa. DIRT rate reduced to 37% in 2018 but no change announced in the exit tax rate of 41%. 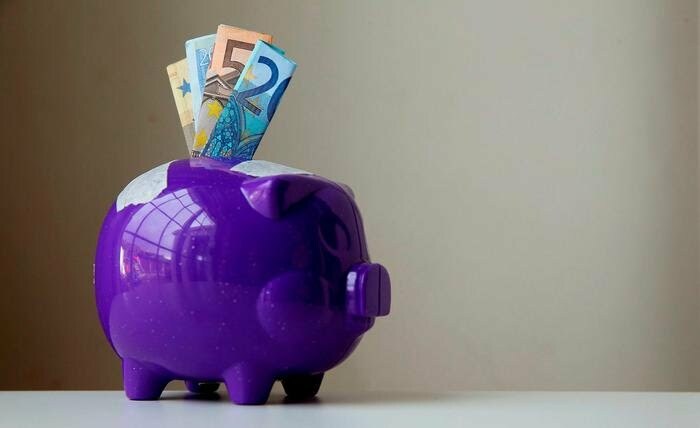 All State Pensions to increase by €5 pw from the end of March 2018. This will make the maximum State Pension €12,695 pa, or just €5 pa under the €12,700 pa specified income limit for the ARF option. Stamp Duty on the purchase of commercial (i.e. non-residential) property is increased from 2% to 6% with effect from midnight 10th October 2017. Mortgage interest tax relief for those who bought their homes between 2004 and 2012 is being phased out between 2018 and 2020. The relief will finish for these borrowers at the end of 2020. No change in CAT thresholds. New tax efficient share option scheme (called KEEP) will be introduced in 2018 for employees of unquoted SMEs. No changes announced in private pension tax reliefs or taxation of benefits. A quarter of women have given no consideration to how much they would need to live comfortably in retirement. The comparable figure for men is 14pc.Four out 10 women say they don’t understand pensions, compared to 27pc of men. As a 30 something, the best time to start thinking about your retirement and future financial security is… well….yesterday. Of course, it’s not the most exciting topic when you’re young and have to consider things like mortgages, weddings and children, which require more urgent financial attention. The reality is, however, the sooner you embrace the, the better. Not only will it take one of those big ‘life admin’ weights off your shoulders, but an early start brings great benefits. State pension age is on the increase (set to be 68 after 2028), as is our life expectancy. Irish men and women are expected to life to 78 and 82, respectively and surviving for that long on the current state pension personal rate of €230.30 per week, seems like an unimaginable stretch. So if you’re new to the world of retirement planning and feeling a little bit more ready to get started, here are some things you can do now that your older self will thank you for. Pensions seem complicated when you don’t know anything about them, but there’s plenty of information online and it’s always worth asking those around you too. The most important thing to know, when you’re getting started, is whether you have or are eligible for a pension and what the contributions are. If you are in the public sector, you’ll be covered by the public sector pension but if you work in the private sector, this may be more unclear. If you’re unsure, talk to your employer or HR department to understand your current position. If there is an option to join a company pension scheme, you should strongly consider this, as it’s basically free money for future you. Take an interest in the scheme and understand your contributions. It might automatically be set to a minimum of 1% of your earnings. If you feel like you can increase this, you should. Once you know where you stand, the next step is to figure out exactly how much you need to put away each month to secure the kind of comfortable future you want after retirement age. Irish Life has a very handy pension calculator which will take you through everything. All you need to know is your annual salary and basic information about your existing pension, if you have one. It can tell you how much you need to save on a monthly basis to reach your goal. By having this information in front of you and knowing how much you need to save, the reality of retirement planning will seem a little bit easier to take on. No matter if you have all the savings in the world it’s still worth having a pension, as a pension receives income tax relief, if you’re eligible. This basically means you’ll pay less tax if you have money in your pension. For example, if you invest €100 in your pension, you’ll get €20 off your tax bill. And the relief is even greater for higher rate taxpayers. If your employer is matching your pension contributions, you should contribute as much as you can to benefit fully from this. Retirement planning is not just about setting up and having a pension. Having control over your current finances will help stand you in better stead in later life. If you have any debts, make it your priority to clear all of these before you do anything else. Start with the ones with the highest interest rates first as they’ll be costing you most, longterm. From there, try to avoid when possible, purchasing items on credit or getting loans that you don’t absolutely need. It’s not a conversation that anyone wants to have but if you don’t negotiate your salary, you’re not only undermining your potential income but your savings too. Having an extra €100 or more per month to put towards your savings can make a significant impact on your financial security in later life. Even though buying that new pair of shoes may seem more appealing, it is worth saving as much as you can, while you can – before you have to come to terms with the big life expenses such as mortgages and weddings and your money has to stretch much further. Every time your wage increases, or if you manage to clear a monthly expense, put this towards your savings. If not, you’ll find you’re just unnecessarily spending this extra cash with nothing to show for it. For most people entering into the world of savings and investment for the first time, setting up a pension is often the first step. But once you have that set up, it might also be worth considering other investments to add a little bit extra to your pockets, so you can afford to put away extra for your retirement. Of course, with investment, there is greater risk but there’s also greater reward. We have some great investment information and resources at IrishLife.ie to suit investors of all types and levels of experience. We know, we know – in Ireland, this is much easier said than done, as the average age of first time buyers has risen to 34. But if you have the chance to get a foothold on the property ladder, buying a home is a solid investment for your future, retired self. If you manage to pay it off well before retirement age, you’ll be able to save more and will have considerably less expenses. If you’re buying a house that you don’t currently want to live in, but want to rent out instead, consider if it may be somewhere you could comfortably settle later in life, for greater practicality. To maximise the potential of your retirement plans, it’s always best to talk to a professional who understands pensions, investments and savings inside out and can give you the best advice. At Irish Life, we have hundreds of thousands of pre-retirement pension customers in Ireland so we have a detailed understanding of how to cater for customers of varying needs and levels of expertise when it comes to finance. As much as taking to friends, family members and colleagues can help guide you, discussing your situation and your goals with a professional will give you that extra bit of confidence in your decisions. Women get a raw deal on pensions. Fewer of them work outside the home, and they often get paid less when they do take up paid employment. Many work only part-time. All this means that the gender pay gap feeds into the pension issue. So when they get to retire they typically have a third less to live on than men. A pensions gap of 38pc exists, according to the Irish Human Rights and Equality Commission. But there are ways women can make the best of a bad situation by ensuring they maximise the value from the State pension, and any supplementary scheme, whether they are in the workforce or not. Here are 10 things women need to know about pensions. The State contributory pension is regarded as relatively generous. For those who have 48 annual PRSI contributions, the weekly payment is €238.30. This is the payment for people who qualified for pensions before September 2012. You get it from the age of 66. 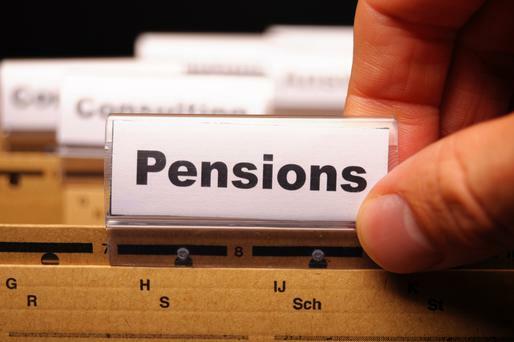 The means-tested State pension non-contributory is a payment for people aged over 66 who do not qualify for a State contributory pension or who qualify for only a reduced contributory pension based on their insurance record. Women are losing large amounts of money from their retirement payments due to austerity cuts. A recent report from Age Action estimated that 23,000 females have been hit with lower payments due to changes to State pension eligibility rules in 2012. Changes made by the previous government make it more difficult to qualify for a full pension. On average, retired workers have lost more than €1,500 a year, with women suffering the biggest hit, according to Age Action. In 2012, the then-government changed the eligibility criteria for the contributory State pension. It moved to an “averaging rule” to calculate the number of contributions made by a worker. Those entitled to a full pension were unaffected, but large numbers of those who would have been in line for smaller pensions lost out. “Under the old system, if you had an average of 20 contributions a year, you would be entitled to €228.70. But after 2012, this dropped to €198.60, a cut of more than €30 each week,” Age Action’s Justin Moran said. The homemaker scheme makes it easier for women who have spent time outside the workforce caring for children to qualify for the contributory State pension. The scheme protects your contributions by disregarding any years spent providing full-time care for a child under 12, or a disabled person over the age of 12. Up to 20 years can be disregarded when the yearly average number of contributions for a contributory pension is being calculated, which can help you qualify for State pension, or a higher rate of pension. Typically, you won’t have to apply for it. If you are already claiming child benefit, carer’s allowance or carer’s benefit, or a respite care grant, you will automatically be entitled to it. Just a third of women own a pension, according to research. This means that two-thirds of women do not have a supplementary pension. This is despite the fact that women make up almost half of the workforce. Men are much more likely to have a pension. Part of the problem is that women are far less likely to discuss retirement planning with friends. A worrying 71pc of women don’t know how to start a pension, according to a survey commissioned by Standard Life. There are two options in the private sector. If you are a PAYE employee your company may have an existing occupational pension scheme. Typically, the employer makes a contribution to this on behalf of the employee. Large companies often contribute between 5pc and 9pc of annual salary to the pension. If you are earning €50,000 a year this works out at between €2,500 and €5,000 a year. Alternatively, the employer has to offer you access to a pension scheme even if it doesn’t contribute to it. That’s the legal requirement and has been for the past 15 years. Most women are unaware of this extremely important point, according to Aileen Power of Standard Life. The State pension is now 66, up from 65 previously. For those retiring from 2021 on it goes to 67. For those retiring from 2028 the State pension will not be paid until 68. However, many employers are still sending employees into retirement at the age of 65. That is why the Citizens’ Assembly called recently for the abolition of the mandatory retirement age. People should not get the State pension until they reach the age of 70, a State-supported think tank has recommended. Moving the statutory retirement age to 70 would counteract a fall in the workforce and the rise in the number of pensioners, the Economic and Social Research Institute said recently. The chances are that this will be introduced. Currently, there are around six workers for every pensioner. Over the next 30 years this is due to fall to around two workers for every pensioner, adding to the costs of State pensions. If you get maternity benefit, you will get State pensions credits automatically. But this ends after 26 weeks. This means that if you take further unpaid leave, you will need to get your employer to complete the application form for maternity leave credits when you get back to work. If you are taking parental leave, you should also be entitled to credits. But you have to apply for these. If you are married but do not qualify for a pension, you may be entitled to what is called a “qualified adult” pension. This can be up to €213.50 for those over the age of 66. The payment is means-tested. However, the concept of women being dependent on their husband in retirement is not appealing for women. If your husband has died and was a member of a defined-benefit pension scheme, you are likely to be entitled to a spouse’s pension, usually half the amount he got in retirement. A court may make a pension adjustment order in the case of judicial separation, divorce and dissolution proceedings. This designates part of the pension to be paid to a spouse and dependent children. The judge decides how much of the pension should be designated, according to the Courts Service. The effect of such an order is that the designated part of the pension remains in the pension scheme but is payable to a spouse and children when the other spouse reaches pension age or dies. Pensions are like a marathon says Zurich’s Rose Leonard, if you want to do one you are going to have to start training now. The first mile is the hardest but once you have developed the habit, it gets easier. The debate around the pension time bomb and the challenges facing the economy when it comes to pensions continues unabated. The biggest challenge is the changing demographics with people living longer. Life expectancy is increasing with men’s life expectancy up from 78 years of age in 2011 to 85 years in 2046. For women that number has jumped too, and females can now expect to live until at least 89 years as opposed to 82 in 2011*. Obviously this is great news, but are we considering the impact on the cost of supporting the retired population, and will the State pension sustain those in retirement for a longer period of time? With increased life expectancy combined with forecasted birth rates expected to produce a doubling of the proportion of retired people to workers by 2050, a renewed focus on encouraging long-term savings is what is urgently required. “Today there are about five people working for every one person retired. In less than 40 years’ time we will probably have about two people working for every one person retired,” Rose Leonard, head of distribution and customer relationship management at Zurich says. This changing demographic will place a considerable financial burden on the State and tax payer. “Because people are living a lot longer they are going to need a lot more financial support in retirement, but they haven’t started to save earlier and we have to address that problem now,” she warns. For the millennial generation – who live very much in the here and now – why should they be planning now for their retirement many decades from now? “People in their 20s need to put time aside to understand the cost of pensions long-term and they need to develop a habit of long-term saving. It’s like running a marathon – you might say you would like to run a marathon in 2018, and if you do, you need to start training now,” Leonard explains. Admittedly, most people don’t want to think about getting old and for the majority of people retirement is far from their minds. But the reality is that most people do grow old and live well into their old age and have a good long retirement. So encouraging people to think about how they can enjoy their life in retirement is key. 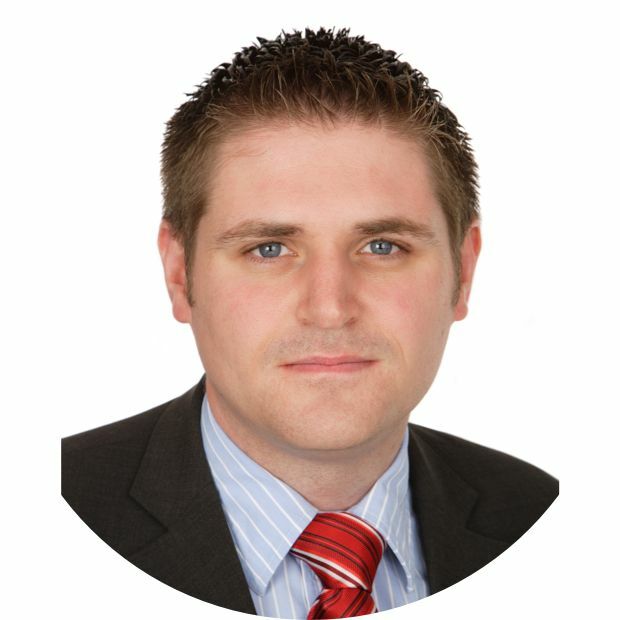 There has been much discussion in Ireland around the introduction of auto enrolment, whereby a universal, workplace retirement saving system for workers without supplementary retirement provision, would be in place. Essentially, an automatic pension scheme would make it compulsory for employers to automatically enrol their eligible workers into a pension scheme. Leonard argues that those people in their 20s and 30s that don’t want to think about retirement would benefit from automatic enrolment, and it would encourage them to develop a habit of saving for the future. “We spoke earlier about whether or not the State pension will be sustainable, and when you consider that there are 17,000 new pensioners year-on-year, then it probably isn’t sustainable; something has to be done – we all have to accept responsibility for saving in the long-term.” A final piece of advice from Leonard for those thinking of starting a pension: “Start today,” she declares. In order to help provide for your retirement, starting a pension is one of the smartest financial decisions you can make. When choosing a pension, having all the information you need is key. Sound advice is invaluable, so it’s a good idea to seek advice from a financial advisor. Talk to your company’s scheme advisor or an independent financial advisor who will guide you through the process and help you select the right pension plan for your circumstances. You can find a local financial advisor near you with the Zurich Advisor Finder. Alternatively, Zurich’s Financial Planning Team can provide you with more information about Zurich’s pension plans and options. For more information visit www.zurichlife.ie. In our parents’ generation, retirees lucky enough to have a pension had little option but to use it to buy an annuity. This provided them with a guaranteed income for life. About the only decision to be made on retirement was what brand of watch to look for! The advent of Approved Retirement Funds (ARFs) changed all that. A more flexible retirement option, they allow the retiree to remain invested during retirement, drawing down an income as and when they need it. The flipside, however, is that ARFs require ongoing financial decision-making throughout retirement. “Annuities were very popular in the past, and indeed for some people they remain the preferred option,” says Pòl Ó Briain, head of retail products with life and pensions company Zurich. However, the annuity rate – which, together with the amount of money you have accumulated in your pension fund, determines the fixed payment you receive each month in retirement – is set according to the prevailing interest rates. These have remained at historic lows for nearly a decade. “As a result, annuities are increasingly perceived as not offering good value, particularly if you want to provide a pension for your spouse in the event of your death. You can quickly find that what looks like a very healthy pension fund at retirement may not provide you with as much annual income as you might have expected,” says Ó Briain. On top of that, once an annuity is purchased there’s no transferring an annuity to your estate. “Plus, with an annuity, once you set it up, that’s it, there’s no going back,” he says. With an ARF any money left in the fund after your death passes to your estate. On the downside you stand to lose out if the value of your investment falls. Given that retirees typically see their income-generating capacity reduced, ARFs require a more active approach to managing investments. And while an annuity may provide a lower income at outset than an ARF, it does at least have the advantage of providing that guaranteed income for life. With an ARF there is the risk of exhausting the pot of money due to poor management of withdrawals or poor investment performance. As people live longer, they are going to need to take more action to ensure their funds last throughout their retirement. “You need to ensure you are investing your ARF in an appropriate way, taking into consideration your overall risk tolerance,” says Ó Briain. When annuities were the norm, the bulk of pension decisions were made as people approached the final years of their career. Traditionally, retirement savers would move from higher risk investments to lower risk options, de-risking in the years approaching retirement. It was seen as important to shield savings from market volatility before the purchase of an annuity. Now however, if you decide an ARF is the better option for you, that de-risking strategy may need to change, to reflect the fact that you are going to remain invested post-retirement, possibly for decades. Post retirement, ongoing decisions will be required. “It’s important to have regular reviews with a financial broker or advisor, to ensure you are managing your retirement funds in the most effective way,” he says. Getting financial advice is not the preserve of the wealthy, nor are ARFs themselves, he points out. “There is still a misconception that ARFs were introduced for people with a lot of money, but that is not the case,” he says. As people live longer in retirement generally, it’s more important than ever that they take an active approach to their retirement funds. “For example, if you have an ARF investment fund of €100,000 and you plan on taking €10,000 a year to live on, which might seem reasonable, it’s not going to last 20 years,” he says. Changes to an individual’s health and personal circumstances as they age will also require regular review. In some cases those who eschewed an annuity when they first retired may want to consider one at a later stage – especially as annuity rates increase with age. If so, the option of converting some or all of an ARF to an annuity may be worth exploring. Managing ARFs throughout retirement is increasingly likely to be the norm. As ever when it comes to retirement, the best advice is to take advice. “It is most certainly not something that should be done without proper guidance,” says Ó Briain. According to Savills 18% of people in Ireland now live in private rental accommodation, which is 497,111 households. With no real history of long-term letting or leases and the introduction of Rent Pressure Zones to try to slow down rent increases, the growing concern is how renters can protect themselves in this progressively volatile market. A report from Goodbody Stockbrokers in May showed that the average price of a house is set to soar, escalating by 10% this year and by another 8pc by the end of 2018. In turn, more people are renting accommodation, with an earnest focus on saving to get onto the property ladder. The rise of generation rent is evident but it is a culture that before now was not commonplace in Ireland. Traditionally, third level students aged 18-25 years and single people aged 20-35 years was the profile of renters. This profile has extended to include individuals and young families in their 30s, 40s and 50s. Other mainland European countries, such as Germany, have had a longer history with long-term renting, where accommodation leases are available for up to 10 years and subletting apartments to hold onto a lease is the norm. The introduction of longer rental leases here could be a solution by offering more security to renters and landlords, both benefitting from the longer-term arrangement. According to daft.ie, our rented sector can be split into categories: ‘movers’ and ‘stayers’. One of the main reason people choose not to move regularly is if rents are rising rapidly in the market and there is a lack of availability, even if the accommodation they are in is not 100% suited to their needs. The former Minister for Housing Simon Coveney brought in Rent Pressure Zones (RPZs) in reaction to the increasing market rents, which came into effect in December 2016. This means that rent increases in these areas can be capped at 4% annually, and is seen as another reason why the amount of stayers has risen significantly. At a recent off-site strategy meeting with the now Minister for Housing Eamonn Murphy, it was suggested that a new city be formed in the midlands to help with the “choke” on Dublin. However, while the capital remains the most expensive place to rent, prices across the country have also seen increases but with varying degrees. Figures from Daft.ie, show that in Dublin, rents are now an average of 15.4% above their previous peak while in Cork and Galway cities, rents are 9.7% and 17.8% above levels recorded nine years ago. Outside the cities, the average rent is 3% above its previous peak. In the three of the counties closest to Dublin – Meath, Kildare and Louth – rents have increased by more than 60% since 2012, which is to be expected considering a lot of people have turned to commuting from further distances in order to be able to find accommodation and affordable rent. With a concerning fluctuation in the number of houses available, for sale or let, the importance of protection for generation rent is crucially important. The rental market is an added pressure in itself for renters, leaving them vulnerable in many ways. But how would they cope if, for example, they became ill and couldn’t pay the rent? Renters like mortgage holders need similar protection and a life insurance policy could be used to offer that much-needed security. Zurich Life offers serious illness cover that enables you to gain assistance at a time when you need it most. If you have to stop work due to a serious illness diagnosis, this cover provides you with financial support that could cover your rent during your treatment. Regardless of your living arrangements, a life insurance plan can be used to protect you and your family from financial strain should you become ill and are unable to provide for them. There is no reason why as renters, you can’t have similar financial protection to mortgage holders. To find out more about the right protection plan for you visit Zurich Life or speak to a financial broker.